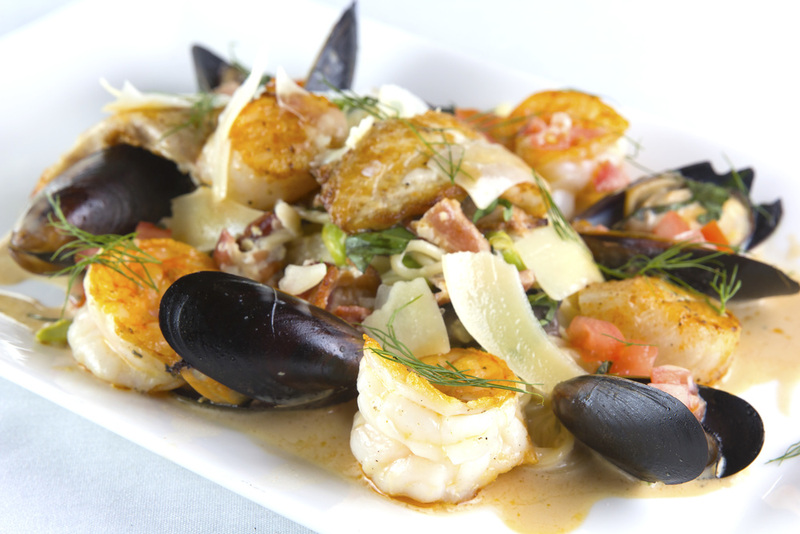 Located in quaint southern downtown, Buford, GA, Sperata is a fusion of fine American and European dining from the renowned Chef, Christopher Hope. Executive chef and co-owner Christopher Hope has created and executed a world-class menu of classical dishes and intriguing, eclectic choices for our guests during the past 12 years. Coupled with soothing interior colors, a loyal and experienced waitstaff, and the ability to host a nearly anonymous romantic evening for two or a shout-from-rooftops celebration for 100, Sperata caters to and array of audiences and a variety of tastes. Diners who enjoy a traditional, well-timed but never rushed dining experience, revel in Chef’s four-course tasting menu, which includes appetizer, salad, entrée and dessert. Some may simply prefer a salad and an entrée, while others may enjoy an exploration of small plate offerings paired with wines or their favorite beverage. 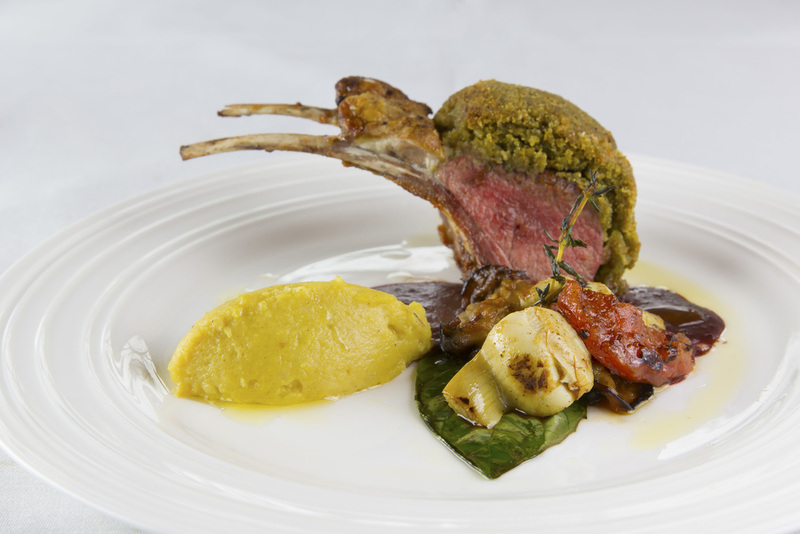 Whatever the dining quest requires on a particular evening, Sperata satisfies our patrons’ palate and needs. Special dining events, such as wine-pairing, whiskey-pairing and beer-pairing dinners are planned year-round, while Sperata’s holiday meals are some of the most popular events at the restaurant. Thanksgiving, our annual New Year’s Eve Celebration, Mother’s Day and Easter brunch are among the most popular with our clientele. WE ARE NOT OFFERING REGULAR LUNCH SERVICE AT THIS TIME. IF YOU ARE INTERESTED IN BOOKING A SPECIAL EVENT DURING LUNCH PLEASE VISIT THE “BOOKING EVENT” LINK OR CONTACT THE RESTAURANT FOR MORE INFORMATION. Posted menus are example of the variety of dishes we offer. All menus are subject to change. Please call our restaurant for availability and special requests. Our Event Facility offers an intimate, fully private space for you and your guests. Seating up to 90 people, we offer a variety of menus to fit your needs. Our staff of coordinators will help plan your event from start to finish that will make your occasion an experience to remember. Sperata Restaurant is a family owned restaurant that has been serving our local community for almost 12 years. From start to finish, we are delighted to attend to as few or as many of the details as you desire. We prioritize connecting with you personally to create the perfect customized event. Chef Hope hand selects only the finest product, choosing organic product whenever possible. the inspiration of his sophisticated fusion style menu. All food is prepared in house and freshly cooked. Our professional staff are fully cross trained in all aspects of service, fine foods and spirits. Our fully private event room, located above our restaurant, is beautifully decorated featuring original wood floors and ceilings. Our beautiful and spacious function room accommodates up to 90 guests. We arrange the room to fit your party's size. Upon request we can help arrange other services such as LIVE MUSIC, PHOTOGRAPHERS, and FLORAL CENTER PIECES. Just talk to your event coordinator! Simply email us with the occasion type, date and approximate guest count of the event you would like to host and we'll have one of our coordinators reach out to you personally as well as send you a packet of materials laying out our different event packages. There's always something happening at Sperata! This is the best place to find out more about special events and highlights of our restaurant. You can always call or email us for additional information and booking for any of these events. Join us and our musicians every Friday and Saturday Evening at 7pm! Our musicians play unique arrangements of music from classical, soft jazz, and pop. 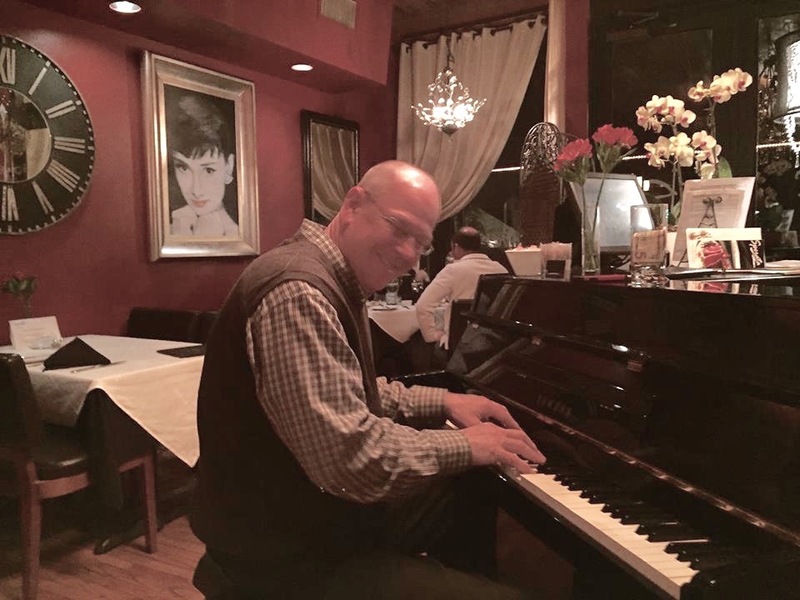 Our Feature Pianist, Larry Barker. 5 course Chef's tasting menu with wine pairings. Wines are hand picked to compliment each course selection. Each wine is presented, explained, and described. Date, Menu and Pricing to be announced. Please check back for more details. We are here during the holidays! Chef Chris Hope prepares special menus for each holiday. We encourage our guests to book reservations for holidays in advance to save your table as space is limited and availability fills up fast! Please click on our Holidays at Sperata page to see more information about the current and upcoming holidays. If the holiday or menu you are looking for is not yet available on our website we encourage you to join our VIP email list by visiting the contact us tab and clicking on the "fishbowl" link. We send out emails with our upcoming event info as soon as it's available so you can be sure you'll be the first to know! Please note that we typically do not offer our regular a la carte dinner menu on holidays. If a la carte service will be offered, it will be noted under our Holidays at Sperata page. We encourage our guests to contact the restaurant for more detailed information on any holiday. Please call the restaurant no less than 24 hours in advance of booking and speak with us about any dietary restrictions or food allergy accommodations for any of our special menus. We would like to thank Mario Rizzotti and his team for the excellent event they put together! Please visit this page again to see upcoming events like this. As more events and info become available we will continue to update this page. All events, dates, pricing, and menus are subject to change. Please contact Restaurant for detail confirmation. Call (678) 765–7911 from 5:00p - 9:00p (fr & sa - 10p) for dinner, or book online with OpenTable. Phone reservations required for parties of 8 or more. We are now accepting online payments for gift cards on our website! Our gift cards will be mailed to you within 2-3 business days of purchase. Please contact us to let us know if you would like us to hold your gift card for pickup. If we do not hear from you, your card will be automatically mailed to the address provided. By visiting this link and joining our contact list, we can keep you up to date on special events, promotions, and send you coupons throughout the year! Whether you'd like info on special events or just want to tell us about your experience, we'd love to hear your feed back! As 2017 kicks off it's easy to fill our calendars up as we get wrapped up in our every day lives. Don't forget to treat yourself and those loved people in your life to something a little special. Weather you bring in the whole family or just plan an intimate dinner for two, we at Sperata, would love to host you during these upcoming holidays and throughout the year. This Valentine’s Day treat your Valentine to a very special gourmet dinner at Sperata. Chef has created a very special dinner indeed. Join us for a very special Easter celebration. Easter menu will be posted soon! Celebrate the special mom in your life at Sperata. Mother’s Day menu will be posted soon! Posted menus are a preview of the variety of dishes we will be offering. All menus are subject to change. Please call our restaurant for availability and special requests.